Art has a unique role in cultivating aesthetic appreciation and creativity. It offers pupils a means of communication and self-expression. An important component is the strong element of direct experience offered to children so that they can develop an awareness of the world around them through observation, recording, analysis and visual language. Art is concerned with creativity intertwined with emotional and intellectual responses. It makes a vital contribution to school life. Pupils in Year 7 have worked on the themes ‘An Introduction to Art’, ‘Drawing’, and ‘Colour’. They have explored elements of art such as tone, composition and colour theory. Pupils have been influenced by the art of the surrealists and the abstract work of Kandinsky. 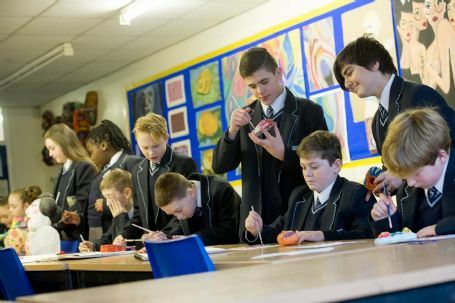 Pupils have had the opportunity to work with a range of materials and processes. Pupils in Year 8 have worked on the theme of ‘Self’. They have covered various styles of portraiture from Cubism to the Psychedelic era. 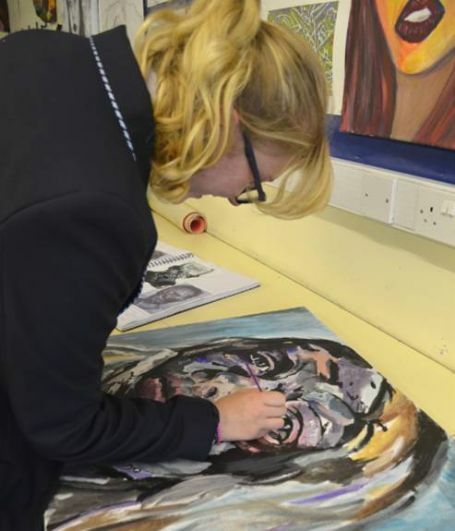 Pupils have had the opportunity to work in a range of media including pencil, paint, print and sculpture. Pupils in Year 9 have looked at the art of other cultures as a starting point. Work develops covering a range of art discipline: Collage, print and relief. Pupils chose their GCSE subjects during this year. Pupils in year 10 work towards a GCSE qualification. We follow the Eduqas specification (Previously WJEC) This incorporates portfolio work (60%) and controlled assessment (40%) Pupils will have the opportunity to attend a master class of gallery trip for inspiration during the 2 year course. The full Equdas specification can be viewed by clicking on this link. 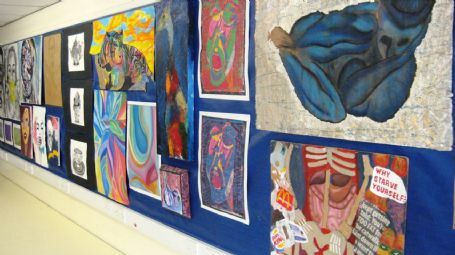 Click here to view a photo gallery of some of our current Year 11 pupils' artwork.